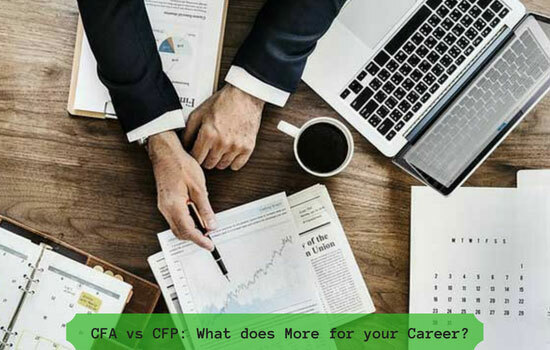 →CFA vs CFP: What does more for your Career? CFA vs CFP: What does more for your Career? Chartered Financial Analyst (CFA) and Certified Financial Planner (CFP) are two of the most rigorous designations in finance. Both provide gateways to careers in financial advising, but the steps to achieving them—and the professional paths they prepare you for—are very different. In the most general terms, Chartered Financial Analysts (CFAs) usually work at large financial services companies or investment firms performing financial analysis for institutional investors. Certified Financial Planners (CFPs) typically work 1-on-1 with retail clients to manage their wealth. Since achieving either designation requires a significant investment of time, money, and effort, it’s important to carefully consider which is best for you before beginning the process. This guide will go over the steps required to become a CFA or CFP, as well as the benefits and drawbacks of choosing each path, to help you make an informed decision. Chartered Financial Analyst (CFA): What’s Involved? Becoming a CFP: What’s Involved? CFA vs. CFP: Which is better? Fulfill all pre-enrollment requirements (including four years of education or relevant work experience). Initial registration fees ($450) and the registration fee for each exam level ($930 for each level). Pass three exams (Level I is offered in June and December, but Levels II and III only in December). Become a regular member of the CFA Institute. Receive 2-3 letters of reference; required for regular membership in the CFA Institute. Before enrolling in the CFA program, you must have completed a bachelor’s degree (in any field) or four years of relevant experience. You can combine professional experience and education, but part-time positions don’t count, and you must have at least four years total. You must speak English, reside in a participating country, and hold a valid passport to enroll. You’ll also need to submit a disclosure of any conduct issues on your record. Investigations, litigation, disciplinary proceedings, and other marks on your background might disqualify you from participating. After paying the $450 enrollment fee, you’ll register for the six-hour long Level I exam, which costs an additional $930 and is offered in June and December. Registration includes an eBook of the entire self-study curriculum and practice tests. While each exam overlaps slightly, Level I covers financial principles, Level II focuses on analysis and accounting, and Level III emphasizes portfolio management and decision-making. Keep in mind that the Level I ebook curriculum spans nearly 4,000 pages of material. Many students also use CFA study materials from a prep course provider that offers a large database of practice questions. Anyone with a bachelor’s degree can begin this program, but cracking all three exams requires significant commitment to the field. The CFA Institute board estimates 300+ hours of study for each level. On average, only 40% of test-takers pass Level I, and though those who make it to Level II and Level III fare slightly better, but they still only have about a 44% and 52% pass rate, respectively. Many people end up taking an exam more than once or paying for an exam prep course in order to complete all three levels. During and after your exams, you must complete four years minimum of qualifying work experience. Only 50% of your time in a qualifying position has to be directly involved in the investment process. This means there is a fair amount of flexibility in qualifying work experience. For additional information, see the full requirements here. After all of that, you will submit an application detailing your completion of all the required steps, along with 2-3 letters of recommendation, to the board for review. A CFA designation provides an edge within a competitive and highly lucrative field: the level of expertise gained by completing it is comparable to an MBA. Chartered Analysts go on to become portfolio managers, equity research analysts, consultants, risk analysts, and many other roles. More information about average salaries for CFA charterholders can be found here. Hold a bachelor’s degree in any major. Complete the required course of study at an approved institution. Work in financial planning for 6,000 hours. Pass a 7 hour exam. Financial planning: process and environment. Colleges across the U.S. offer these courses and completing all of them usually takes about nine months. The CFP exam is offered three times per year (in March, July, and November). It consists of 170 multiple choice questions in two 3 hour long sessions separated by a 40-minute break. Expect to spend around 7 hours at the testing facility. Formulas and tax tables are provided, and you can use a financial calculator. The CFP exam has a 65% pass rate. You’ll have 10 years before taking the exam and 5 years after it to complete 6,000 hours (about 3 years) of work experience in finance. Relevant work experience is required, but the criteria is fairly flexible. For more details see the requirements on the CFP website. Self-employment, volunteer, and other indirect employment experiences have to be independently verified. You may only count 40 hours per week towards the total, but “Apprenticeship” hours, which have further restrictions, can fulfill the requirement faster: you only need 4,000 Apprenticeship hours, instead of the standard 6,000 hours. A certification in financial planning adds legitimacy for those seeking to work directly with individual investors. The curriculum and exam focus on the professional standards and ethics of this kind of individualized financial and investing planning. The average take-home pay of a certified financial planner varies highly. Income potential is not determined by the field or salary a CFP works in, but rather in their ability to find and sell their services to individual clients. There are, in general, more opportunities open to CFPs, but holding a certificate is less of a guarantee of a highly lucrative career. In 2017, 90% of CFP certificate holders made between a range of $45,000 and $120,000 per year. For those people with natural sales ability, a career in financial planning offers you the opportunity to build your own business and set your own schedule. Investment management careers for CFA charterholders offer the opportunity for high salaries and bonuses, but require significant hours in the office. As a CFP, you will likely have an easier time finding your first job, but you’re also less likely land an extremely high-paying job; CFPs become entrepreneurs whose success is determined by performance and selling ability rather than a pay scale. Investment management positions typically filled by CFA charterholders have fewer openings each year, but they tend to be more highly paid, salaried positions. 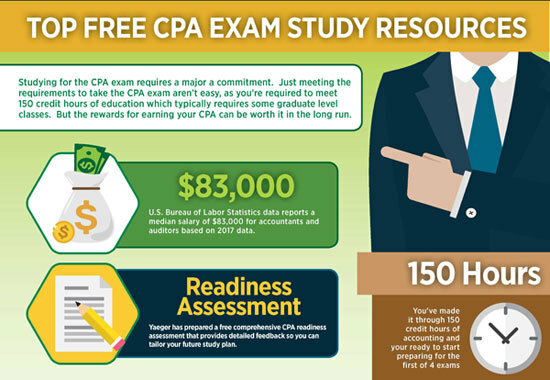 Earning the CFA charter requires a significant financial and time investment: each exam costs $950 for the standard registration period, and it costs $450 to enroll. Since the exams are only offered a few times per year, the minimum time to complete all of them is 2.5 years. This doesn’t take into account the four years schooling/education, or the four years of work experience, required to achieve the designation. Additionally, most people need to take some levels more than once to pass. However, some scholarships are available, and it’s worth mentioning that these fees are still much smaller than the costs of getting an MBA. On the other hand, if you clear the CFP exam on the first go and already have work experience, you could conceivably complete this designation within one year (though the average time is longer). The exam itself costs $695. Clearly, the time and money spent to complete either process is significant. Some employers will cover the costs while others require you to pay for them yourself. If you have this option or have already completed work experience which would fulfill the requirements, this could make your decision easier. The bottom line, however, is that you should decide which path is a better option based on the tasks you most want to do in your eventual field. Choose the CFP route if your comfortable in a sales role and enjoy working with individual clients. If your more interested in investment management or the corporate environment at a large financial services firm, you should consider pursing the CFA charter.